Accessories : Bitfenix ARGB LEDs. 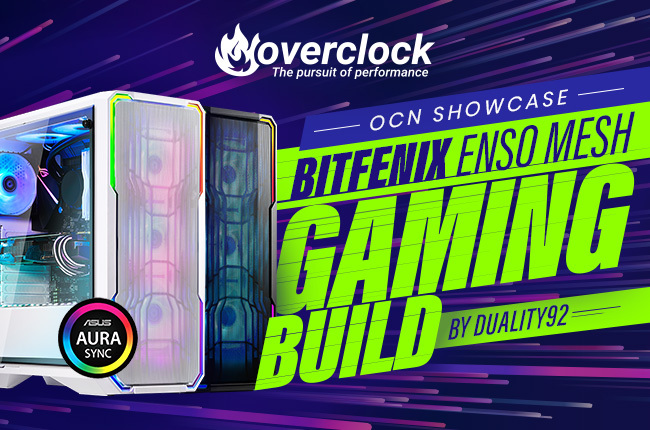 The build updates will be in three parts consisting of Bitfenix hardware showcase, Bitfenix hardware installation along with finished build pictures. This case was a pleasure to work in, the only issue I had was passing through two 8-pin EPS through the mid-plate cutout for these, it’s very minor but worth noting. I’m not going to hold you guys any longer, here’s the case, fans, LEDs and PSU! Last edited by ENTERPRISE; 03-29-2019 at 10:10 AM. Sweet looking build and a great looking case. Just curious, why did you go with a non-modular PSU? "dummy sticks"? I assume these are blank PCBs in the DDR4 format with matching heat spreaders but where does one get something like that? Or did you make them from parts? Ok, I googled it. Holy cow ... matching (but empty) RGB ram sticks to complement your existing real ram. I agree with the Tom's Hardware article that described it as solving a "first world problem". Still, makes for a nice build without paying the current DDR4 ransom. Last edited by Master Chicken; 04-05-2019 at 01:50 PM. It was the power supply supplied for the build, it's actually quite well rated to boot. It's just non-modular, but with shroud these days, you can see that it's basically a non-issue. Nailed it with that edit! Makes you not need to buy 64GB to populate everything! Here is the last update folks! Here's the beauty in all her glory! Yeah, with shrouds these days, modular PSUs aren't as needed as they used to!